Each day there are more and more new applications are releasing in the Play Sore, where as some application are useful some other are not. Today we are taking 3 best android application that has been available in the play store recently only. 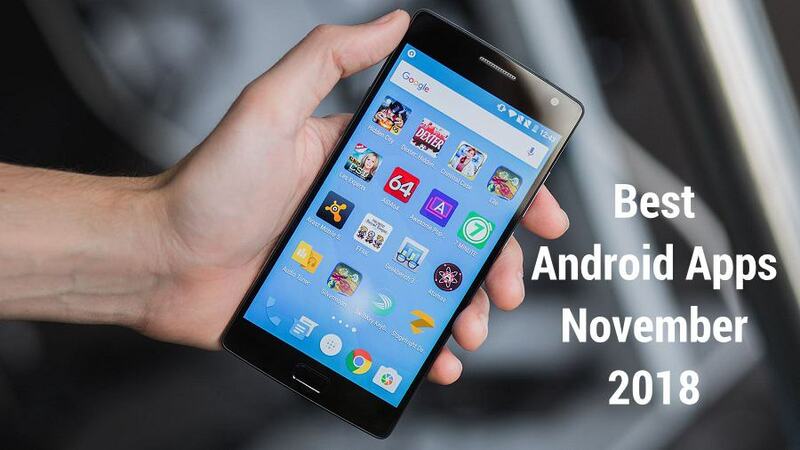 We are considering these as the best 3 android applications for the month of November 2018. For long time, we all are familiar with the Nova Launcher. This was the best launcher application available for android devices for a long time. We all love customizing the look and feel of our Android devices, so we usually prefer to use any custom launcher that any of the default built in launcher. For this many people prefer Nova Launcher as their preference because of the heavy customization. Now, there has a big competitor for Nova Launcher, the ‘Hyperion Launcher’. This was a new launcher with lots of customization as like nova launcher and some additional cool features such as Font customization, Authenticate each app using fingerprint scanner, Some visual customization more than Nova Launcher. I am using this for the past two weeks and will provide a detailed review of the application in coming days. The application if free to download, where as some features requires full version purchase which cost Rs.260 ($4). Fluid Navigation Gestures is a cool application also for the customization of the look of your phone. Now most of the handset comes with in screen navigation bars. The home, back icons are within the screen. Many people wants to remove these navigation bar so that they can utilize the full screen of the display. But when hiding the navigation bars, we need an alternative way to perform each activity such as going to home screen, back button action etc. Fluid Navigation Gestures is an application that perform all these things. It will get guester based action that can perform the same actions such as home action, back action, assistance, recent apps selection, split screen etc. You can customize the action as per your chose, differnet guester action includes, swipe up from the left bottom, right bottom, center bottom. Also from the left and right side of the screen. Each position have swipe and swipe and hold options. Its still in beta stage but you can download it to have a try. There is also an upgrade option available within the app to have more customization. Curator is an AI based gallery application. Its a new application with some interesting features, Unlike the normal gallery, this application will organize your photos based on different criteria and will be done automatically. The application will arrange photos based on folder structure and also based on the meta data avialble within the photos such as location, type, people etc. The application is also in the beta stage, but the developer has now closed the public beta testing option. Hence you need to wait for few days to get it open or to get it released.